Today begins 365 days of creativity with my “Diety-A-Day” blog entry. After reading a cool article on Smashing Magazine called “Design Something Every Day,” I decided to join in and asked a few of my graphic designer and creative friends if they wanted to join in. So far, only my friend Jeannie has joined in with a “Stamp of the Day” on her new blog, DesignWrangler.com. I decided to do a “Deity-A-Day” due to my love of mythology, a current project I’m working on, and after hearing an interview with Joseph Campbell of The Heroes Journey. 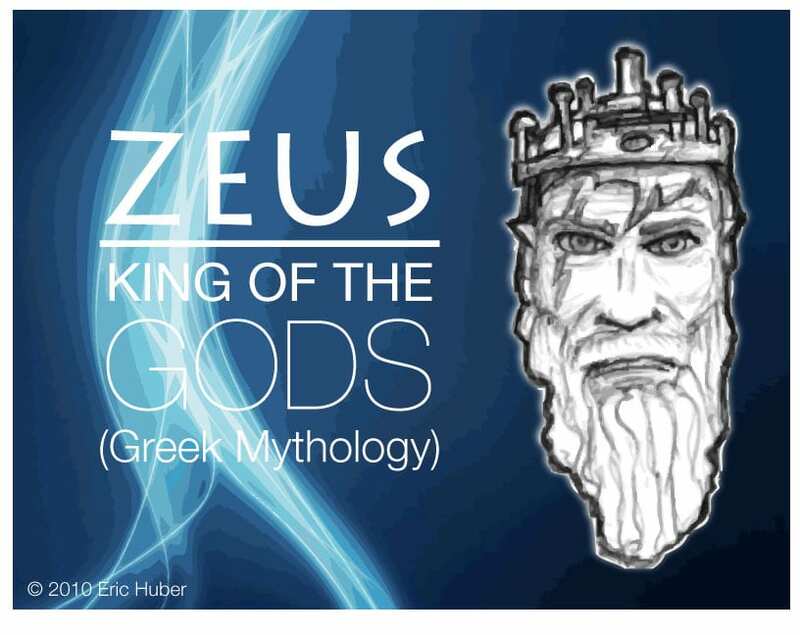 So, today we start with Zeus, King of the Greek Gods. Sketch and some extra playing included in this post. Yes. I spent more than thirty minutes. I’ll do better tomorrow! As a fellow big fan of Joseph Campbell, and a lover of all thing mythological, I’ll be reading your blog with interest this year. I think the Greek pantheon is a perfect place to start. Slavic is another one that really interests me, as well as Sumerian. The grand-daddy of all, Hindu, will be a great one if you’re feeling a little less than inspired. They have like 100 million gods, right? I’ve subscribed to your RSS. Thanks, Christopher! I will add the Hindu gods for certain. Great idea!